Orlando Florida has built its reputation for a city with a really warm weather. For us who lives here we know during winter time people from England, New York, Quebec, Ontario, Alberta and the coldest States visit us and refugee on beautiful vacation homes to discover Florida and enjoy its quality of life. Even at the beginning of 2018 Florida experience some days with a glim of snow, and a cold front pas by the coast still desirable to come to Orlando and welcome Spring Time, with a full of blossom flower and warm weather. Because all of us look for for great deals in a warm place, Orlando Florida and the offer that Orlando Discount Tickets USA are the right answers for you..
On January 2018 begins the look for Spring Vacation and now that is February do not procrastinate and star planning your Vacation Package to Orlando Florida for an unforgettable, splashy and fun spring break. Our vacation deals start from $169 with hotel for 4 days and 3 night and tickets to visit one of the theme parks in Orlando Florida through our resort presentation offer. Besides the rides, thrills and shows that Theme Parks have Epcot, Seaworld, Busch Gardens and Universal Orlando comes with additional surprises that you will be pleased to visit. Celebrate Spring time in Disney with its annual Epcot International Flower & Garden Festival an event included with your general admission to inmerse yourself on spectacular landscaping and amazing creative topiaries, special culinary delights and weekend concerts. Get a vacation packages with a bonus water parks trough our resort presentation discount with a Touch of Magic Ticket for Disney and make a splash on Blizzard Beach water park or Typhoon Lagoon water park, great sliders, warm pools, wave pools and multi person rides are waiting for you to hang up with your family and friends. Fed your appetite for adventure with wild flavors on Saturdays and Sunday from March 7 through April 26 on Busch Gardens Food and Wine Festival and taste great variety of sample size tastings of delicious cuisine, this event require only you daily admission. Play the Harry Potter role at both lands Diagon Alley and Hogsmeade locate at Universal Studios Orlando and Island of Adventure. To enjoy the complete adventure a park to park ticket is require to ride the Hogwarts Express. And last but not less keep a day while you visit Orlando Florida for a beach day on Cocoa Beach or Clear Water, both are located to an hour and 2 hours respectively from Orlando. Everybody, lets celebrate this fall season at Disney Epcot Food and Wine Festival between August 31-November 1. During 75 days you can enjoy the most deliciouss getaway that can start at $169 dollars with 4 days 3 nights and 2 admission for one day to Waltd Disney World. To better prepare your vacation package to Disney Epcot, check the calendar for the tradittional series of concerts as a plus for the event. If you already have your hotel acomodation you can get admission for only $39 dollars per person for the first 2 people. 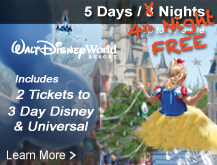 Visit http://www.orlandodiscountticketsusa.com to discover great family vacation packages, cheap geatways and much more. It is hard to say a number but we can reffer as how crowd or how easy going can be a Theme park at the time of the visit. Locals and frecuent visitors to the Theme Parks in Orlando knows that make a magical trip to Orlando requires just to have great attitude, how ever for the visitors that travel with certaing ages on children, with certain nuber of people and with liited time to be at the time parks is important to define how the time trough the year behaves, because there is time in which a lot patience is requiered for the most popular rides, and weather is very very hot which can be a challenge for those not used to this. Orlando Disocunt Tickets USA shares some very useful advice regarding time, weather, and crowdness when visiting Orlando Theme parks like Magic Kingdom, Epcot, Disney Hollywood Studios, Animal Kingdom, Universal Studios, Island of Adventure, Seawlrd, Busch Garden and Legoland. As many of us know Orlando is one of the most visited places on earth, statistics shows that seasonal periods when there is a high traffic the cost of the vacation for travel increases, the competition for hotel rooms and dinner reservations is aggressive and the crowds and lines at the Theme Parks are insane. Besides the time of high traffic tourism in Orlando you should consider but not feel limited for the weather conditions of this humid subtropical region, with a rainy season from May through October. Around the end of October the dry season begins and usually last until late April. Star planning your vacation packages based on your expectation with Orlando Discount Tickets USA. January 20-23: Ashley Brown and Josh Strickland prforming song’s from Disney’s Beauty and the Beast, Tarzan, Mary Poppings and The Little Mermaid. February 10-13 and 17-20: Kissy Simomons and Alton Fitzgerald performing songs from Disney’s The Lion King, Aladdin nd The Little Mermaid. To get the admission for the Disney Epcot International Art Fesival you just need the general admission that allows you admission to all Epcot entertaiment but also to events that doesn’t requires reservation for the Festival. Orlado Discount Tickets USA offer tickets promotions for 1 day in Disney for only $39 dollars. 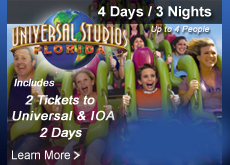 Vist www.orlandodisocuntticketsusa.com and start planning your vacation package at discounted price. With years of hard work on creativity, engineer and innvotation at the highest level of technology Disney Animal Kingdom will have ready for this coming Summer 2017 PANDORA the wolrd of Avatar. For those who watched the film really will understand the magnitude of a project like the one developed for Disney Animal Kingdom. On the Pandora: Land of Avatar will be 2 main attractions, the first one is Avatar Flight of Passage that will make visitors feel like they’re flying on Banshee creatures with are a characteristic element of the movie. The fly will take over a river and stunning bioluminescent forest, that will transform the look of Disney Animal Kingdom at night” the second attraction is a trip on boat on Na’vi River Journey to know the natural fauna and flora of Pandora that will include sound and animations through animatronics.